JAKARTA, GRES.NEWS – The House of Representatives’ Rights-of-Inquiry on Pelindo II Special Committee is investigating into the use of a syndicated loan worth US$1.58 billion (Rp21 trillion) obtained by PT Pelindo II. The company is yet to submit a report on the huge loan’s use, yet, Pelindo II is now bearing the burden of paying the interest. The company claims that some of the loan is being used to fund the New Priok project. In response, the special committee on Thursday (15/6) conducted a work visit to Teluk Lamong Terminal in Surabaya. The visit’s administrator Rieke Diah Pitaloka said the visit aims to make comparison. "We visited Teluk Lamong to draw a comparison. Teluk Lamong was constructed with Rp5 trillion proceeds acquired from a global bonds issue, chapter I. Meanwhile, the New Priok will have the same capacity, but needs Rp11 trillion," she said. Rieke, from the PDIP faction, further stated that the visit’s report will be handed over to the Supreme Audit Agency (BPK) and the Corruption Eradication Commission (KPK). "We will soon hold an internal meeting to prepare the report that will be handed over to BPK and KPK, and also hold a hearing," she sad, quoted by dpr.go.id. The special committee was formed din 2015, following the numerous issues surrounding the New Priok’s construction. The parliament are suspicious that money in the project is being embezzled and Pelindo II has been violating regulations. 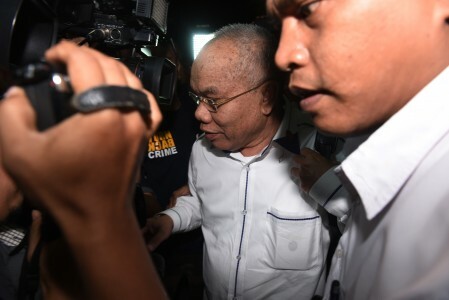 A member of the committee, Masinton Pasaribu (PDIP faction), exemplified the potential corruption in the extension of the management of Pelindo II’s container terminal for a Hong Kong company. Meanwhile, BPK member Achsanul Kosasi said BPK has formed a joint investigation team from the State Finance Primary Auditors (AKN), which consists of banks, law institutions, the Ministry of Transportation and regional governments. "We will communicate with the House of Representatives intensively to discuss the investigation’s progress," Achsanul.